Three long-standing characters die in this book. Diana and Jack's mother-in-law die in a carriage crash. It was quite shocking to read of Diana's death as it was practically mentioned in passing at the beginning of the book. I stopped and re-read the passage several times to be sure I was getting it. The third is Barret Bonden who dies in a battle between some Moors and the Surprise at the end of the book. Again, in one sentence, Bonden dies - rather shocking. 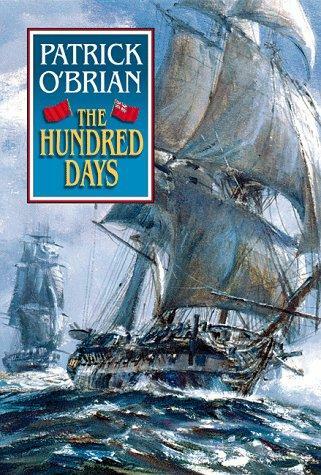 Other than those bookend deaths, The Hundred Days was a rather normal POB book. At the end of Yellow Admiral, we are left wondering what is in store for Jack. Stephen helps him improve his prospects of becoming a full-fledged admiral by finding work for Jack in Chile. 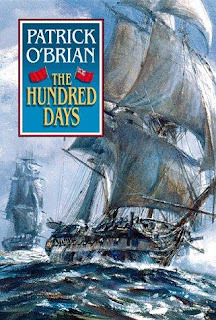 But then Napoleon escapes Elba the the hundred days begins. They are to convince French ship-builders to fight Napoleon. If not convinced, they are to fight and burn all ships. They are successful. The mission behind the mission is for Maturin to seize gold from some Muslims who are determined to help Napoleon. Both Stephen's intelligence and Jack's navel know-how are needed to reign-in the Moors. Overall, it was a good book and had all the normal ingredients of a POB book. I enjoyed the passages of Stephen killing the lioness - that got my heart beating a bit. The action was good in this book as well. In reading the back cover of Blue at the Mizzen, it appears the Stephen and Jack are continuing with original plans to help out Chile. This will be #20 and the last completed book by POB. #21 is not completed, as far as I understand.